Joanna Murray Smith's Switzerland is inspired by the tense, terse, thrilling writing of novelist Patricia Highsmith. Foremost amongst Highsmith's creations is the character of Tom Ripley. The apex of amoral con artists, Ripley's fortunes and his victims' misfortunes were charted across five Highsmith novels: The Talented Mr. Ripley, Ripley Under Ground, Ripley's Game, The Boy Who Followed Ripley and Ripley Under Water. His story begins in Boston, moves to New York but settles eventually into the Old World decadence of Europe. From forged signatures to forged artworks, Ripley's litany of lies follows him from the Riviera to central France with a few choice detours. Of course, the best way to get acquainted with Tom Ripley is to work your way through the 'Ripliad' of all five novels. But to whet your appetite, the film adaptations serve as excellent eye candy. 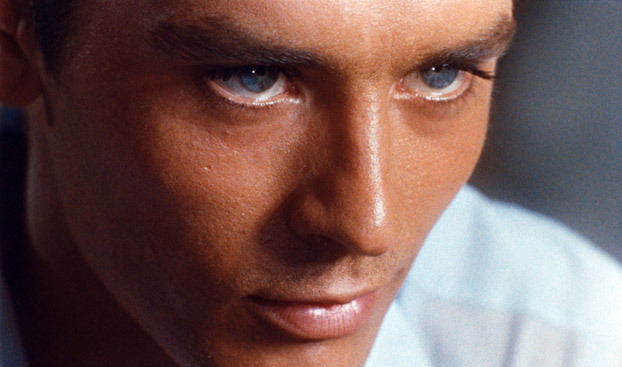 Front and centre is Alain Delon in the 1960 hit Plein Soleil. Highsmith herself thought Delon an "excellent" Ripley and it's hard to disagree with her or Delon's blue eyes. Less beautiful, but just as engrossing, Dennis Hopper played Ripley in Wim Wender's 1997 cult hit Der Amerikanische Freund opposite Bruno Ganz. And, more recently, Matt Damon and John Malkovich have both had stabs at it in The Talented Mr. Ripley and Ripley's Game respectively. Enjoy.